Please fill out the form below with all your details. Please let us know the ideal Wedding date you are looking for, your day guest numbers followed by your extra anticipated evening guests. A member of our team will then shortly be in touch and send you over all our Wedding information, prices, menu's and offer you an opportunity to come in for a personal show round of our venue and our new stunning Hester Ballroom. 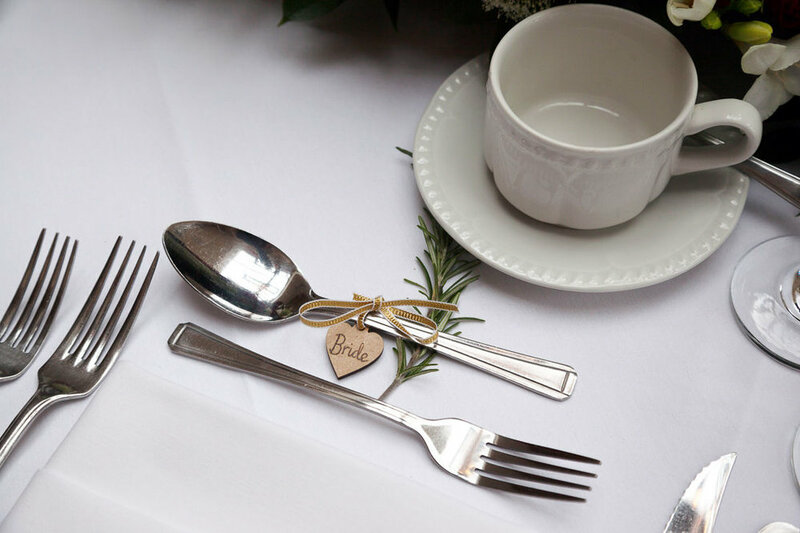 Your show round with one of our dedicated Wedding coordinators Louise or Jack, will include a tour of the venue including a selection of our bedrooms, a detailed chat regarding your plans and ideas for your big day and a quotation. To book a show round now please call us on 01462 768 787 or for instant booking please click here to book your showround online. Please remember we do evening appointments after work too. Congratulations on your big news, we are delighted that you are considering us to host your special day at our luxury Country House Hotel. Finding your dream venue is probably one of the biggest and hardest decisions to make and with our expertise and passion for weddings we will help every step of the way. We would love to meet with you to discuss your wedding plans and ideas and to show off Offley Place to you. We can arrange a personal viewing, which are by appointment only with the dedicated and professional wedding team who will be delighted to go through our wedding information and give you a full tour of Offley Place. These can be arranged for weekdays, weekday evenings and weekend dates too. We are thrilled to show you what we can offer for your wedding day and how it all works. Click on these links to find out more. If you leave the browser or press back you will have to enter your details again. Therefore click here and enter the password Wedding1234 to have full access anytime. We will also send you an email with all the relevant information you need..
We look forward to hearing from you, so we can show you why Offley Place is the perfect venue for your special day. Once you have submitted your details, you will then gain immediate access to our Wedding brochure along with a special password. This password should be typed in on our 'Bride & Groom to be' page to gain exclusive access to all our brochures and pricing. After your first initial show round, we can then provisionally hold the date you'd like. During this time you will need to contact Stevenage registrars to ensure they can attend this date as well. You will also need to decide whether you are going to choose the exclusive, semi exclusive or non exclusive option which will be explained to you on your show round. Decided to go ahead? Congratulations! In order to proceed you will need to fill out and return our terms and condition forms. Once we have received this, it is time for your first deposit of £1000.00 to secure your Wedding date with us. You will then receive your official confirmation in the post detailing your next steps along with your planning meeting information. Exciting! Your first official planning meeting is 6 months before your Wedding, before this feel free to call or email with any questions. The 6 month meeting will be to discuss any key questions you may have and a little bit of information from us to you, you will then have a a 3 month meeting, then finally your one month appointment. During this time you do have an option to come in to taste the menu you have chosen for your Wedding day, this is usually done 4-5 months prior to your Wedding. During the 12 months or more of planning your Wedding it is important to secure your date with the suppliers you are looking to use. From photographers, cake suppliers, photo booths, make up artists, wedding cars, to magicians it's best to book them as soon as possible to avoid disappointment. We will be holding Wedding open evenings throughout the year where all our key suppliers will attend to inspire you for your big day! Please look out for the dates of our open evenings on our website and bring all your friends and family so we can show you why Offley Place is the Wedding venue for you! Please contact our Wedding team, Jack or Louise today on 01462 768 787 or via email at reservations@offleyplace.com for more information or to book a show round today and start your journey with us!